The Best Philanthropy Youtube Channels in our index using search and social metrics. Subscribe to these youtubers because they are actively working to educate, inspire, and empower their audience with frequent updates and high-quality videos. If your Youtube Channel is selected in this list, you have the honour of displaying this Badge (Award) on your blog. 1.16 Putnam Consulting Group, Inc.
About Youtuber Foundation Center is the leading source of information about philanthropy worldwide. Through data, analysis, and training we connect people who want to change the world to the resources they need to succeed. About Youtuber Our mission is to provide the opportunity, leadership and tools needed by philanthropic organizations to expand, enhance and sustain their ability to advance the common good. About Youtuber Alt-Philanthropy is a foundation in which we help spread awareness and support many different charities with the help of various music artists! About Youtuber The Center for Effective Philanthropy (CEP) is a nonprofit organization focused on the development of data and insight to enable higher-performing funders. CEP's mission is to provide data and create insight so philanthropic funders can better define, assess, and improve their effectiveness- and, as a result, their intended impact. About Youtuber Indiana University School of Philanthropy offers a comprehensive approach to philanthropy - voluntary action for the public good. The Center is dedicated to improving philanthropy by training and empowering students and practitioners to be innovators and leaders who create positive and lasting change in the world. About Youtuber NCRP promotes philanthropy that serves the public good, is responsive to people and communities with the least wealth and opportunity, and is held accountable to the highest standards of integrity and openness. About Youtuber Informed, independent and with reach and credibility, Philanthropy Australia gives our members a collective voice and ability to influence and shape the future of the sector and advance philanthropy. About Youtuber The Philanthropy Roundtable is America's leading network of charitable donors working to strengthen our free society, uphold donor intent, and protect the freedom to give. Our members include individual philanthropists, families, and private foundations. About Youtuber Asia Philanthropy Circle is a membership platform for the leading and progressive philanthropists in Asia. This channel is to share resources internally on philanthropy and our membership. About Youtuber The Center for Disaster Philanthropy (CDP) is a full-time resource to help donors make more thoughtful disaster-related giving decisions and maximize the impact of their gifts. About Youtuber A community of philanthropists and social investors committed to inclusive and sustainable development of the African continent. About Youtuber Accordant Philanthropy specializes in leveraging the engagement of healthcare executives, hospital and foundation board members, physicians, hospital staff and development staff leaders to advance vibrant healthcare philanthropy. Our commitment is to provide straight-forward, actionable training and counsel to optimize philanthropy as a core revenue resource. About Youtuber Indiana Philanthropy Alliance (IPA) is a nonprofit membership association of and for the state's philanthropic grantmaking community. We champion, support and connect our members as they transform Indiana through effective philanthropy. About Youtuber The Players Philanthropy Fund (PPF) is a nonprofit organization and revolutionary philanthropic management tool unique to the sports industry. PPF provides an accessible, simple and safe solution for professional athletes and their teams to maximize philanthropic giving while protecting their financial assets and reputation. About Youtuber Philanthropy Tank fuels and inspires next generation of local change leaders - our youth - or as we like to call them, Changemakers. Students identify social issues that confront our community. The program challenges empowers and equips them to develop and execute sustainable initiatives and solutions to these problems. 16. Putnam Consulting Group, Inc.
About Youtuber Learn about philanthropy and smart grantmaking with Kris Putnam-Walkerly, President of Putnam Consulting Group, Inc. She helps philanthropists and foundations confidently transform their strategies to achieve dramatic impact and faster results. 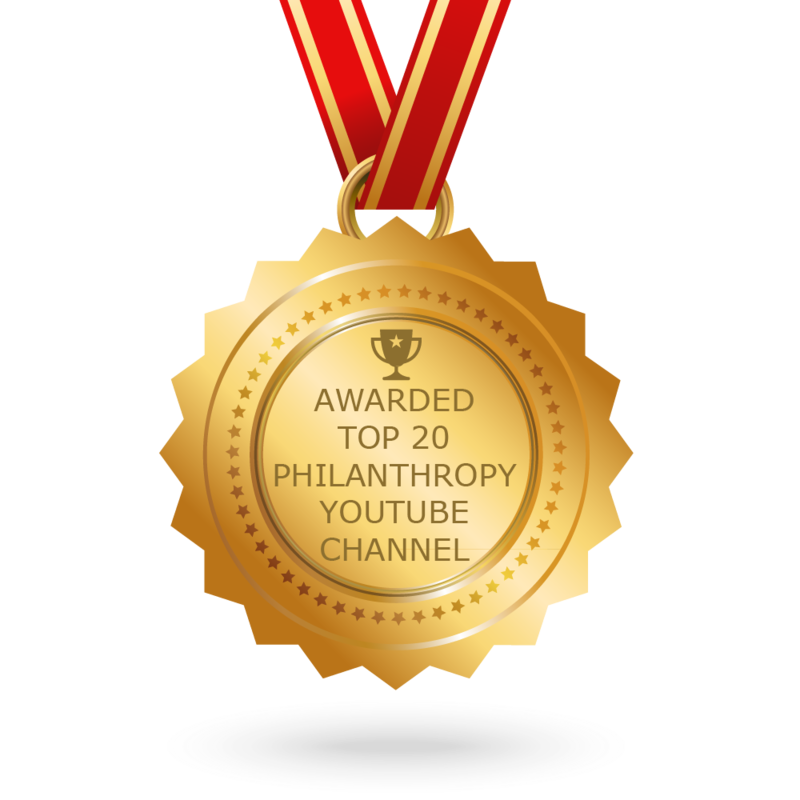 CONGRATULATIONS to every youtuber that has made this Top Philanthropy Youtube Channels list! This is the most comprehensive list of best Philanthropy Youtube Channels on the internet and I’m honoured to have you as part of this! I personally give you a high-five and want to thank you for your contribution to this world.